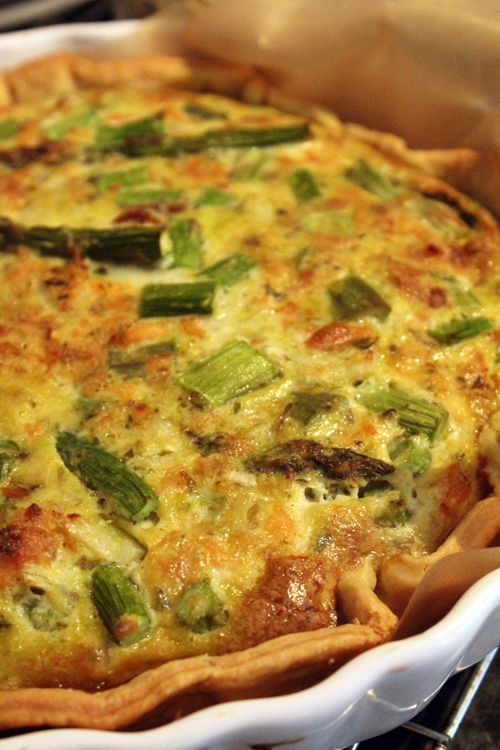 Smoked Salmon and Asparagus Quiche | Abandon Spoon! 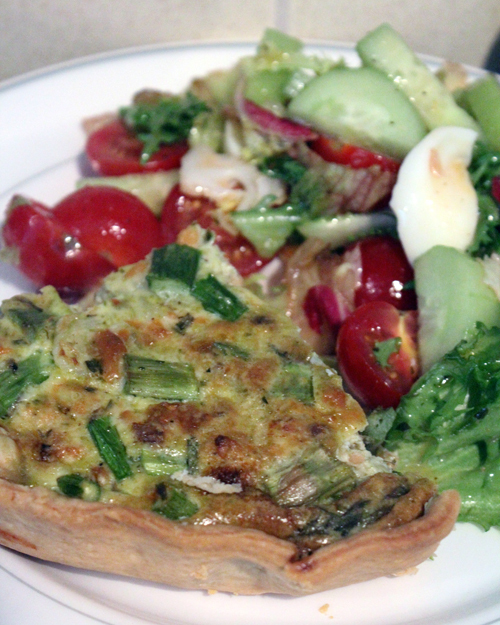 The first installment is a quiche- I love quiche and I saw this one while watching my weekly installment of Sunday Brunch. I watch this program every week, however for some reason have never actually made any of their recipes until now. 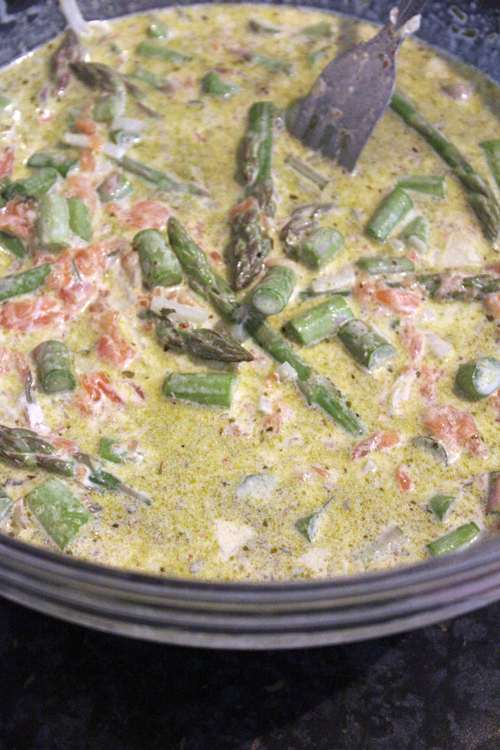 The original had peas instead of asparagus, but I’m an odd one and don’t actually like peas, so substituted for asparagus. If you like peas then feel free to swap back! The original also includes a recipe for making your own pesto- which is much tastier but I decided as it’s only one tablespoon to cheat and go for the easy option! 1. Preheat the oven to 180°C/gas mark 4. Roll out the pastry to fit a 9” quiche tin, then line with baking paper, fill with baking beans and bake blind for 20 minutes. 2. Remove the paper and beans, brush the inside of the pastry case with beaten egg and bake for 5 minutes more. 3. 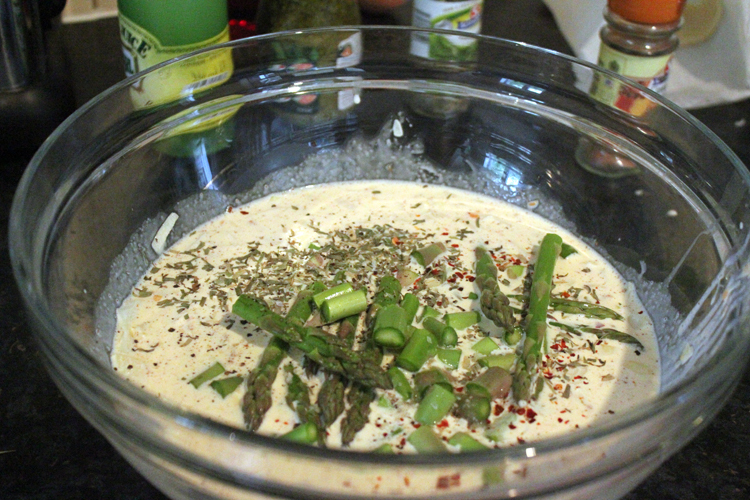 For the filling, beat the eggs, cream and nutmeg together, then add the other ingredients, some salt and pepper and the pesto. 4. Spoon into the case and bake for 30-35 minutes, or until set. 5. Serve in big wedges with salad.